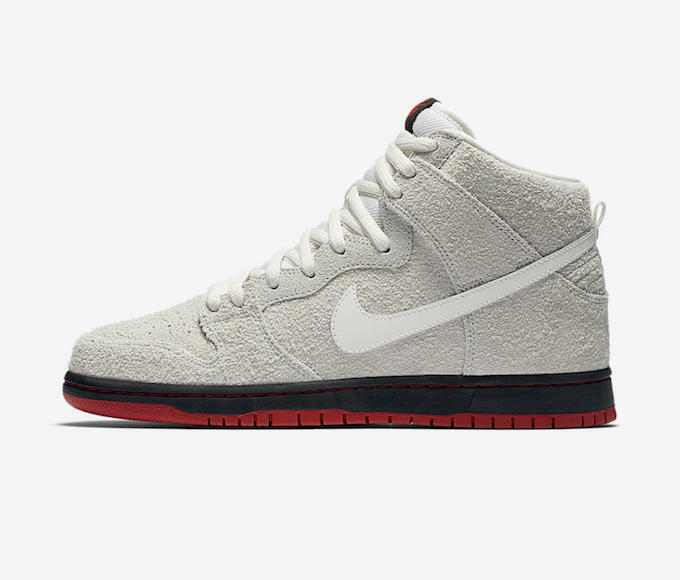 The Dunk- former classic Nike hoops shoe was swiftly adopted by skate culture- and eventually re-engineered for the session by Nike SB. Nowadays the SB Dunks style is often used as a canvas for several of the brand’s influential collaborations. 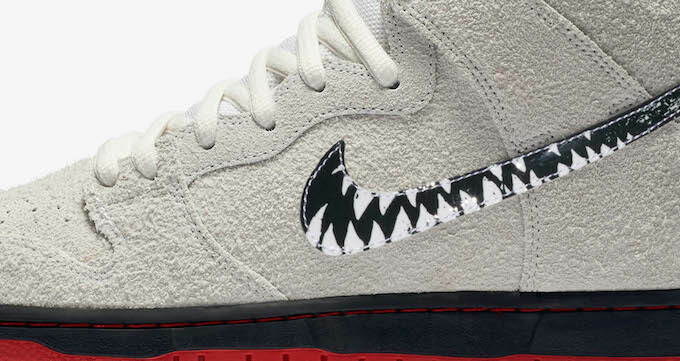 Most recently, Nike have teamed up with North Carolina skate shop, Blacksheep, using the iconic silhouette as a starting point for their first successful collaboration. 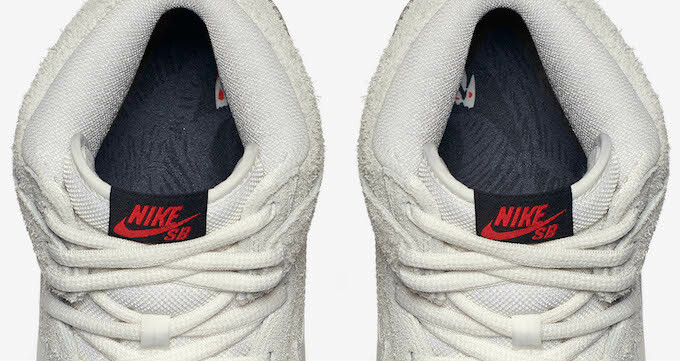 The ‘sheep’s wool’ vintage-esque textured suede in a ‘summit white’ colour way combined with a cool white leather swoosh reflects the brand’s iconic understated cool in a diverse yet subtle material clash. 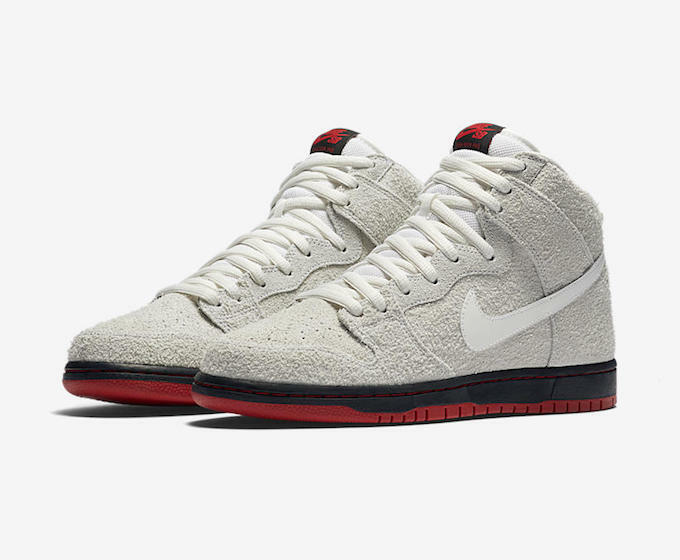 The white upper is strikingly contrasted by a blackened-out midsole and distinctive red stitching and outer sole as well as black and red labelling on the tongue. 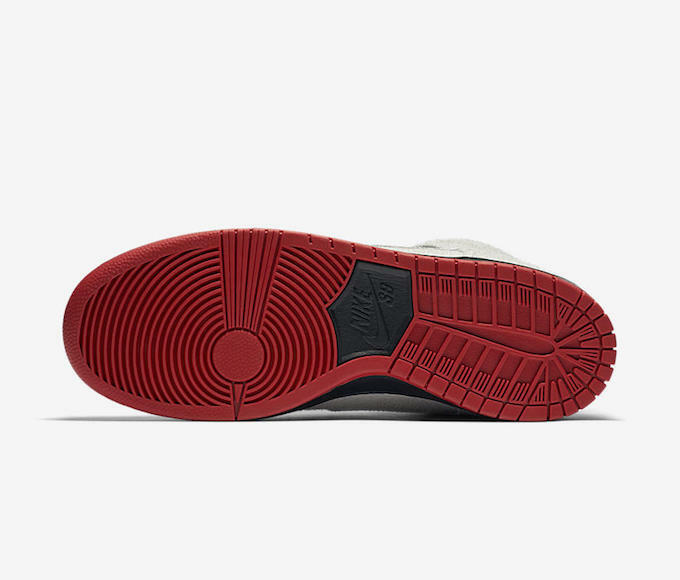 A full-length foam midsole with a Nike zoom air unit in the heel offers durable impact protection offering support and is designed to cushion hard landings. We believe that this collaboration is sure to become a modern classic after the last attempted collaboration between the brands was pulled before sale as the Gucci-inspired design was reported as being too similar to the brand’s original pieces.